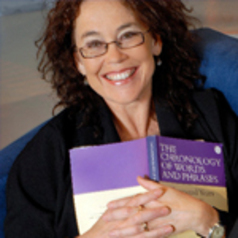 Kate Burridge is an Australian linguist and the current Chair of Linguistics at Monash University. Kate completed her undergraduate training in Linguistics and German at the University of Western Australia. This was followed by three years postgraduate study at the University of London. Kate completed her PhD in 1984 on syntactic change in medieval Dutch. Amongst other things, Kate is also the author of many books, a regular guest on ABC radio and has presented a TED talk in Sydney on Euphemisms in English.